As a beginning investor you are most likely thinking about what stocks to buy. Investing can sometimes seem like a tough thing to do. But investing in the stock market does not require a degree in business or finance, outstanding intelligence or even familiarity with investments. Being patient and sticking to a plan, making sure to remain flexible and conducting research will serve you well with your stock market investing. A lot of people want to see their money grow, but they aren’t sure where to start. You know that the stock market is a good place to invest your money, but you don’t know how to start or what stocks to buy. 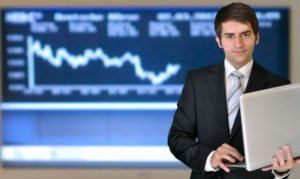 So it’s good to go through a number of tips regarding the stock market to better understand some of what is involved. Stocks are more than just pieces of paper that you trade for fun. A stock, also known as a share, basically entails a part of a company. 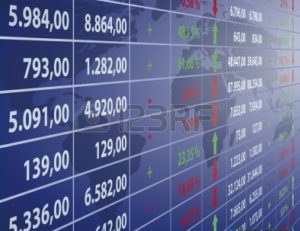 Therefore, when you buy shares of stock, you are buying a small part of a company. When you own stock in a company, you become a member of the collective ownership of that specific company you invested in. You are granted a rite to earnings and a claim on assets by virtue of owning a company’s stock. Voting privileges are sometimes granted by stock ownership as well. When thinking about what stocks to buy, do your research. Before buying any stock in a particular company, you should do a thorough review of that company. Study its financial history and how their stock has performed over the last ten years. Earnings and sales should have generally increased by 10% over the prior years on average, and the company’s debt should be less. If you have difficulty understanding the information, you may want to talk to a financial advisor or broker with a good track record in stock investing. Prior to placing funds with a professional broker, be sure you conduct sufficient research into their background. If you take a little time to investigate the organization and understand their business practices, you will help to protect yourself against investment fraud. You should also research the fees involved. Many investors are surprised to find out how much of their money is spent on commissions<. A good broker should guide you to see returns which will far outweigh their commissions. If you instead choose to trade directly online, the fees will be much less but you won’t get the professional advice a broker can give you. But if you do good research, you may find yourself making good profits anyway. It is also best to avoid discount brokers. These brokers lie somewhere between the expertise and advice of full-service brokers and the low prices and fees of online trading, but do not really offer the advantages of either. It is better to be at the ends of the spectrum to find true value for your time and money. Remember that the market is made of all stocks. There will always be some going up and some going down. Winning stocks can bolster your portfolio even during downturns, whereas losing stocks can hold you back in a boom. Choose carefully, and above all else diversify your holdings. Diversification involves not putting all of your money in one stock or type of stocks. Doing this both minimizes your risks and increases your opportunities to gain. When the stock market takes a dip (and it will), do not distress. Instead, look at the fall as an opportunity to purchase stocks at bargain prices. Many smart investors have made fortunes this way, because the market will inevitably rise again. Being able to see past the doom and gloom can be very profitable. Watch for the coming of a bull market. Bull and bear markets tend to cyclical, and eventually the bear market will turn into a bull. Wise investors usually watch the market very carefully so that any initial signs of the market changing can be detected. This can help them act faster. Many people who are just starting with stock market investments purchase mutual funds. Mutual funds are usually lower risk investments due to their diversification. The beauty of mutual funds is that you obtain a nice range of stocks, and you have a professional who is conducting all the research on the different companies in your investment portfolio. You can choose between different types of funds, from conservative to aggressive, from large-cap to mid-cap, to small-cap, based on your investment strategy. To start, it is typically wise to invest in funds that follow a stock market index, like the S&P 500. In order to make your stock market investments the most successful, you should map out a specific investment plan with strategies and future goals. You will want to have strategies written down of when you think you should buy and when you might want to sell. 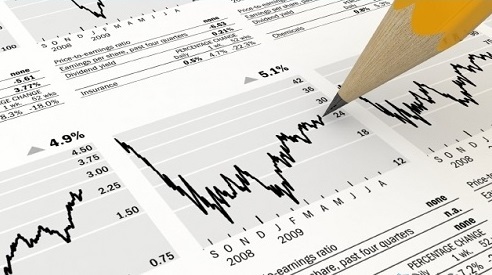 It must also include a clearly defined budget for your securities. You will be making decisions with your head this way, instead of with your emotions. As for what stocks to buy – that will be up to you. You should always do your own research, but can also talk to others to gain more knowledge. much of the financial advice online can either be too complicated or tied to someone who is marketing their services. So when doing your research, it is best to understand the terminology and what it means, from price to earnings ratios to profit margins. This will give you the knowledge to better understand what other people are talking about, particularly if you are reading a company’s year-end statement or changes in policies going forward so you can decide for yourself whether this is a company you want to invest in. When you understand how something works, you can figure out how to be good at it. Do this and success should follow. And remember, do not let your emotions control your buying and selling decisions. While it can be unbearable to watch your stocks go down, it is important to be patient. Make your decisions in a methodical, deliberate way, and choose investment vehicles that align with the level of risk you are comfortable with. Over time, the markets generally go up, so unless you have invested in a company that is going sour, when the markets turn around a wise investment will go up.